Pets and beer, all in one convenient location. Photo courtesy of Billingsley Co.
Just in time for summer, a new concept is opening at The Shacks, the 8-acre outdoor complex in The Colony from the Billingsley family, and this one has beer. It's called Grrrowler's Tap Room and Beer Garden, which is very clever since it appeals to both dog owners and beer enthusiasts alike. Grrr for the dogs, and growler for the beer. Is this over-explaining? Grrrowler's features seasonal and local craft beer and growler fills from 25 taps; growler fills being where you bring your own bottle and fill it with beer on tap. Is this over-explaining? 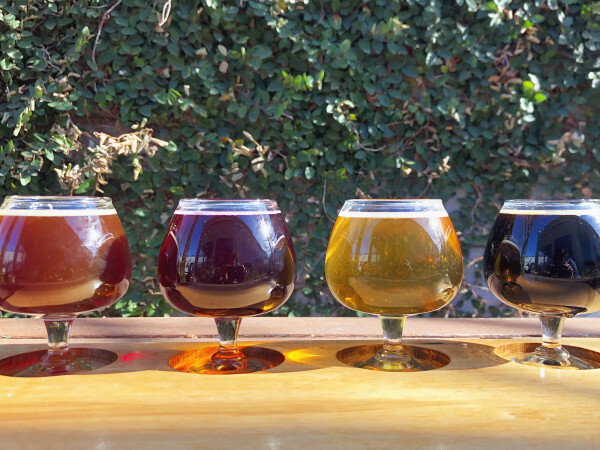 There are also four wines on tap, plus packaged beers and single-serve wines available for carryout. According to a release, the owners and operators are sister and brother Leigh Ann and Doug Karr. "We got the idea when visiting the dog park one day and realized the only thing missing from The Shacks [at Austin Ranch] was fine craft beer," Doug says in a release. Their build-out includes an extra-large patio that extends over the one-acre dog park. Billingsley Company VP Sumner Billingsley says that they liked the tap room's Austin vibe. 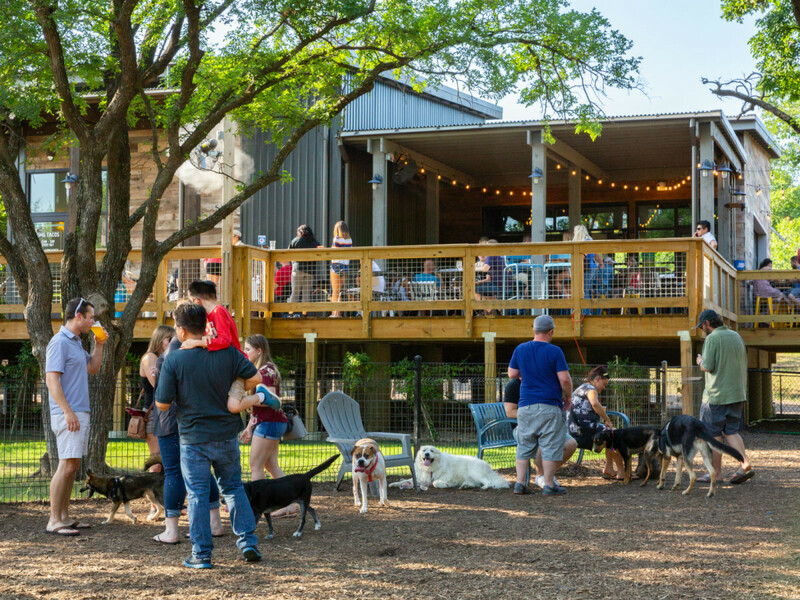 "When your dog park can also double as a beer garden, it seems a bit like Austin to us, and that felt right for this space," she says. The Billingsleys intentionally kept the natural views and large trees when developing this plot of land, in a nod to the Hill-Country inspiration that so many years ago gave way to the name Austin Ranch. 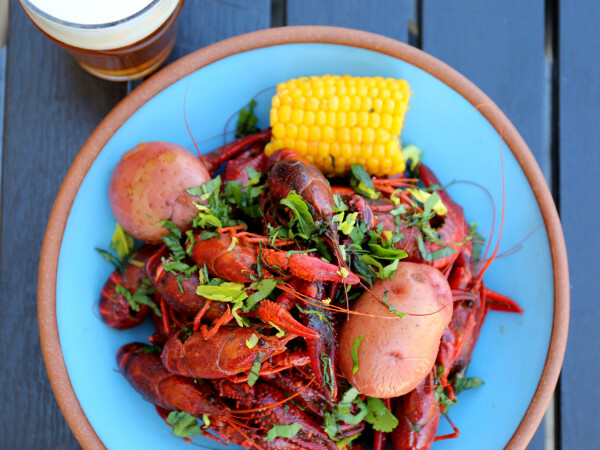 Grrrowler's shares a large open-air patio with Ten Ramen, OMG Tacos, and two shacks from restaurateur Frank Carabetta: Dirty Burger Bar and Tackle Box Seafood. Amazingly, The Shacks will celebrate their one-year anniversary on June 16; it seems like only yesterday that CultureMap was breaking the news of its existence. How time flies when you're a breaking-news fiend, tra la la. 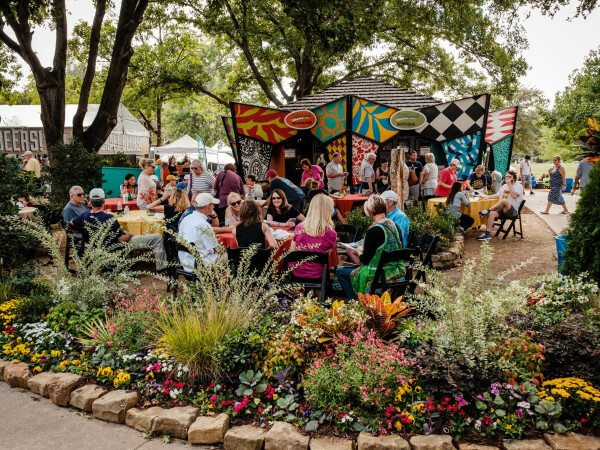 They're hosting an event on the patio from 11 am-2 pm with a vendor fair, pet events, and food and drink specials from the bars and restaurants overlooking the dog park, plus a bounce house and face painter. Located at the southeast corner of Windhaven Parkway and Plano Parkway, the project is designed as an amenity for not only the 5,000+ residents at Austin Ranch, but for nearby single-family and corporate communities as well. Billingsley Company has been active in the 1,700-acre master-planned development since 2010. New multifamily developments include The Boat House and The Hudson, and new office tenants include Sanyo and Quest Resource Management. Billingsley Company is also doing a 300,000-square-foot build-to-suit office campus for AmerisourceBergen Specialty Group which will open in 2019.